Children's picture book fiction, ages 3-5. "THE WORLD'S ONLY JUGGLING PUG! It's okay if sometimes he poops on the rug." A town makes money off of a talking dog who can juggle. 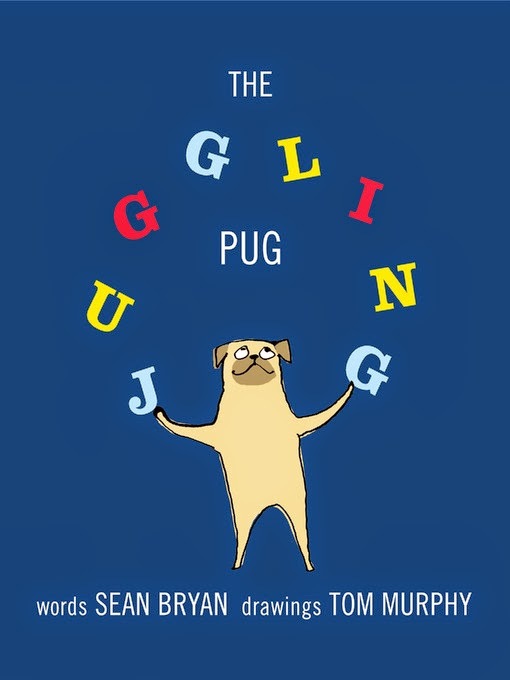 In The Juggling Pug, Sean Bryan gives readers a humorous picture book about a pug who has an unexpected talent. Fame, however, soon goes to his head. The once beloved pup turns into an indulged ne'er-do-well as many around him try to make some money off of his spotlight. In the tradition of The Emperor's New Clothes, it's only the powerful intervention of a young child who must put her foot down and call and end to all of the madness. Luckily, our pug becomes beloved once again as he reforms his ways, proving even annoying reality stars can learn new tricks.